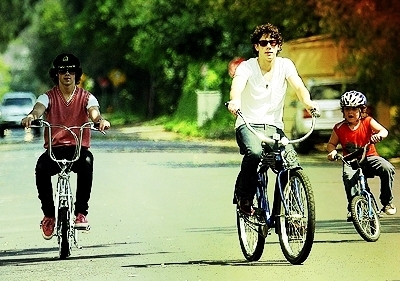 Joe. . Wallpaper and background images in the Joe Jonas club tagged: joe jonas jonas brothers jonas joe brothers. This Joe Jonas photo might contain aller à vélo, cyclisme, vélos de route, bicyclette, vélo, roue, cycle de, and cycle.